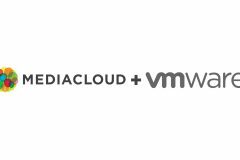 In Mediacloud we try to improve every day in order to offer the best solutions to our customers. 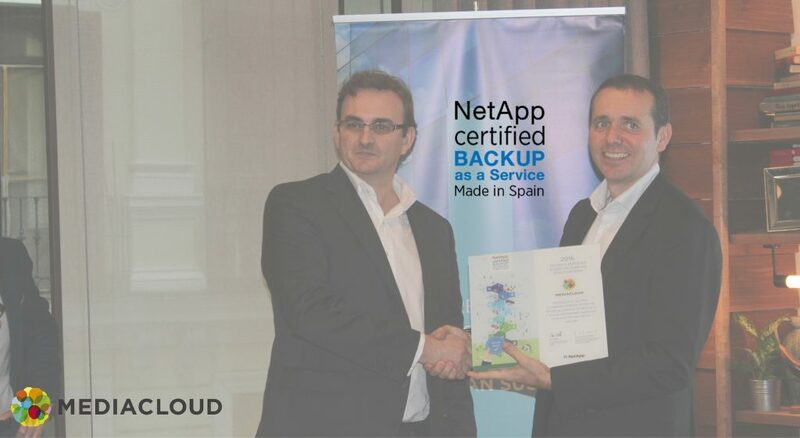 For this reason, today we are glad to announce that we have been certificated by NetApp for its Backup as a Service (BaaS) program in Spain. It is a remote backup service in cloud that aligns business needs with IT resources. 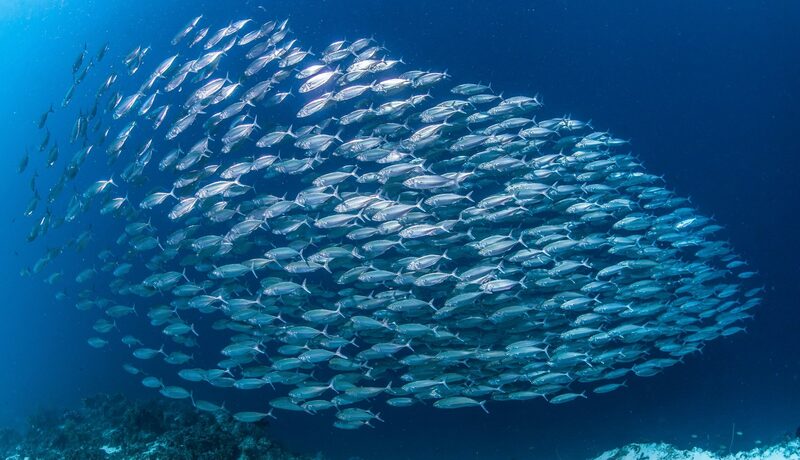 We are an experts on data protections. We are subject to data protection laws. 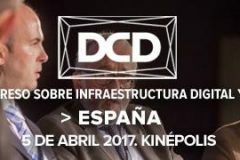 We are working according to regulatory compliance policies and national data protection policies regardless of the reach of the service. From now on, Mediacloud will be able to provide Data Fabric certified solutions in order to allow their customers to use the SnapMirror technology (an efficient data replication solution between storage ends) and SnapVault technology (allows to perform backups and recoveries in minutes) to transfer data from their cloud in a transparent way and also to release resources for innovation in other IT areas. 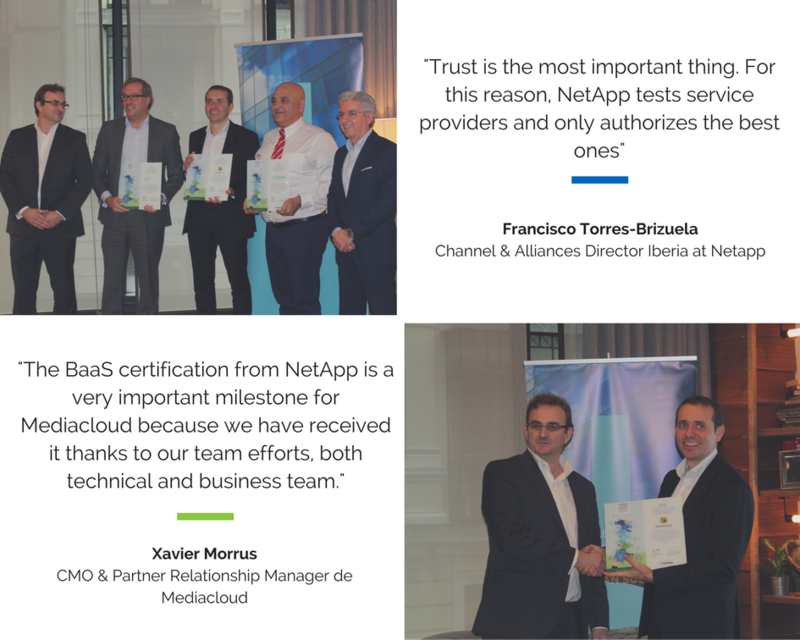 The BaaS certification from NetApp is a very important milestone for Mediacloud because we have received it thanks to our team efforts, both technical and business team. BaaS certification guarantees our clients a backup service which ensures their business continuity. 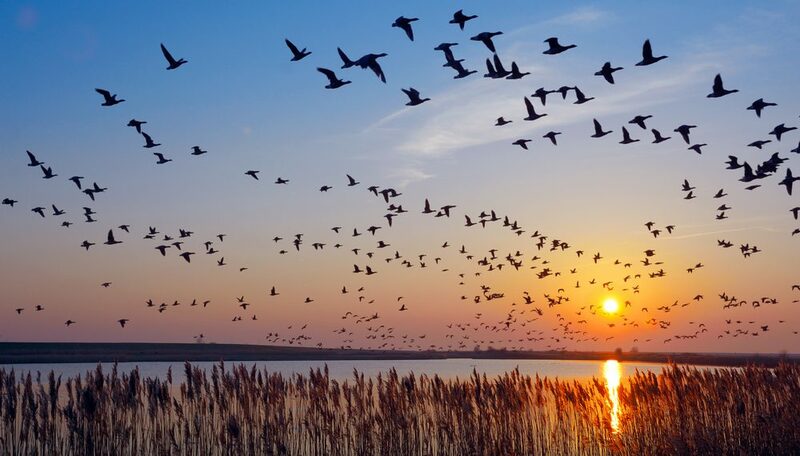 Furthermore, the support by NetApp, the leader in storage solutions, together with Mediacloud’s provided services, allow the Backup as a Service to provide our customers calm they need in order to focus their efforts on their business growth. We are always focused on the customer’s needs and to improve our services we are active listeners of their needs and worries. 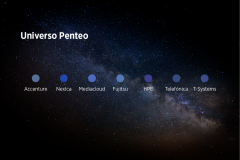 We have been analyzing for a long time how to cover the needs of backup as a service and now, together with NetApp, we can say that we can cover the current and future needs with guarantees. (Xavier Morrus, Mediacloud’s CMO).